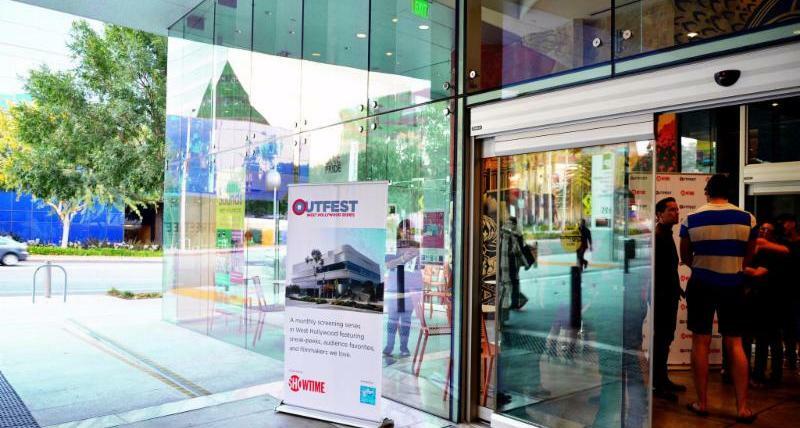 Each year the City of West Hollywood celebrates pride with its One City One Pride LGBTQ Arts Festival, which runs from Harvey Milk Day (May 22) through the end of June Pride month (June 30). The theme for 2019 is “Love is Love,” celebrating the universal bond that unites us, especially during this 50th anniversary year of the Stonewall riots. One City One Pride is organized by the City of West Hollywood's Arts Division. For more information about One City One Pride contact Mike Che, Arts Coordinator, at mche@weho.org. Everyone Deserves (A) Love (Poem): On this 50th anniversary of Stonewall, West Hollywood will transform into a literary salon of love, with a diverse group of queer poets on typewriters helping residents convert their unique love stories into poetry. Anyone may commission and take home a love poem from this interactive art project organized by Brian Sonia-Wallace aka RENT Poet - a testament to the idea that love is love, and every love story is worth a poem. Let Love Flourish: Queer Poetry Pop-up is a spoken word celebration of historic LGTBQ poets. Performance artist Jason Jenn brings their passionate words to spirited life for the public to enjoy in the streets of West Hollywood in special appearances throughout the 40-day One City One Pride LGBTQ Arts Festival. The presentations employ elaborately styled costumes and various theatrical techniques, while illuminating audiences about the authors’ lives and their historical conditions. Queer love has emerged in writing in various ways, from veiled allusions during oppressive eras to all-out profusions of sensuous splendor in contemporary times. Created and performed by Jason Jenn. Art direction by Vojislav Radovanovic. Being LGBTQ is still illegal in 70 countries, and our communities face discrimination, persecution and violence around the world. Award-winning photographer Robin Hammond’s Where Love is Illegal project has documented the stories and images of many indiviudals from these countries. Robin Hammond has dedicated his career to documenting human rights and development issues through long-term photographic projects. He has won numerous awards for his work, including four Amnesty International Awards and several other prestigious prizes. On view at the West Hollywood Library from May 24, 2019-October 11, 2019 during regular library hours M-Th (11am-7pm), Fr-Sa (10am-6pm), Su (12pm-4pm). Closed holidays and June 9-11, 2019. Celebration Theatre, the world’s oldest LGBTQ theatre group, presents Kander & Ebb’s dark, eerily relevant masterpiece like you’ve never seen it before as directed by the multiple Ovation Award winning Michael Matthews. Based on the play by John Van Druten and the stories of Christopher Isherwood. Previews begin Friday, May 25; runs Th/Fr/Sa at 8pm, and Su 2pm. 7:00 PM – Social Gathering & Binary Detox - Mix and mingle with others interested in Gender Fluid, Nonbinary Identities. Water, light snacks, and welcoming environment will be provided. Funded through a grant from the City of West Hollywood’s Arts Division. The first annual one-day film festival features films created by and featuring transgender and gender non-conforming filmmakers, artists, actors, and themes; filmmaking/acting workshops; and an opening reception. José Julio Sarria was the first openly gay person to run for political office in the US in 1961, and many credit Sarria with helping pave the way for Milk's run for office. At the unexpected intersections of politics and high camp, this preview of Nelly Queen will reveal an intimate portrait of the Latino civil rights pioneer whose heroic drag has been overlooked as a cornerstone of the LGBTQ rights movement. Free admission with donations accepted. Yozmit will create a wearable art installation as a performance shrine in the Long Hall/Plummer Park, one of the historic LGBTQ places in West Hollywood. It will be an altar/sacred space in remembrance of legendary *Leigh Bowery* a costume designer, performance artist and a club promoter who pioneered performance with an animalistic and postmodern take on drag. This project will have many different layers of materials and vignette performances related to Yozmit’s personal memories and influences of experiencing life as a LGBTQ identified artist in South Korea and America. During the exhibition period (June 25 through June 29, 1-5pm), there will be surprise performances, and on June 28, there will be an outdoor performance event in the courtyard of Long Hall (6-9pm). Join inaugural West Hollywood City Poet Laureate Steven Reigns and the West Hollywood Library for the Lambda Lit Book Club, discussing “Simon vs. the Homo Sapiens Agenda” by Becky Albertalli. Join Women In Film for a screening of the documentary “Jewel’s Catch One,” which chronicles four decades of the oldest Black-owned disco in America and establishes the legacy of businesswoman, activist, and healer, Jewel Thais-Williams. Followed by a panel discussion. 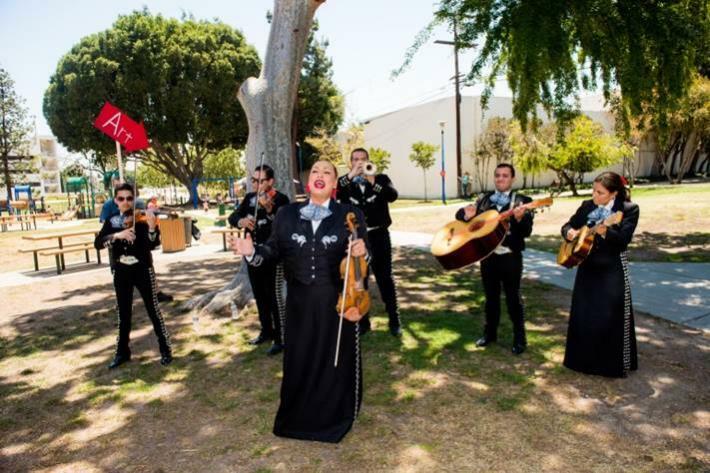 Join the City of West Hollywood’s Summer Sounds series for a free outdoor concert with Mariachi Arcoiris de Los Angeles, the first and only LGBTQ mariachi group in the world. Led by director Carlos Samaniego, Mariachi Arcoiris also features Natalia Melendez, first transgender female in the history of mariachi, as one of its members. Presented by the City of West Hollywood’s Arts Division as part of One City One Pride and Summer Sounds. Free Admission. Seating is first come, first served. RSVP requested. Free Admission, RSVP not required. Bring the kids and join the City of West Hollywood’s Arts Division and the West Hollywood Library for Drag Queen Story Hour! The first meeting of West Hollywood resident Bette Davis and screen icon Mae West took place in 1972 at the home of Charles Pollock on Orlando Avenue. It was a cocktail and dinner gathering of only seven people. Bette and Mae discussed their careers, loves, families, hopes and thoughts on work in film, their successes, men, and each other. It revealed a rare and personal glimpse of these strong women. The evening's conversation was captured on cassette tape and 40 years later that tape was used to dub in the audio portion of a recreation of that evening using actors chosen to visually bring the guests to life while hearing the actual taped words of Bette Davis and Mae West. The film represents a first effort in history to create video from an authentic live tape recording. It is a fun, sometimes outrageous, entertaining and very personal historical look at two iconic women; unrehearsed, honest and a funny evening bringing the viewer to the party. "When Bette Met Mae" is the winner of "Best Documentary" at Hollywood & Vine Film Fest, and "Audience Favorite Film" at the DTLA Film Festival. This screening of the 65-minute documentary will be followed by a brief discussion/Q&A with Wes Wheadon, the Writer/Director of the film and a panel of people involved in the film. The City of West Hollywood and Los Angeles creative agency Wondros will host a special evening of storytelling to share reflections that will inform the design of the West Hollywood AIDS Monument, built by the not-for-profit Foundation for the AIDS Monument. The evening will also serve as the public launch of a dedicated website for people in the greater Los Angeles area to post their personal stories. The stories will ultimately become part of an archive to preserve the remembrances of all who have been impacted by HIV/AIDS. Friday night will feature Big Queer Convo, and Saturday will feature a panel focusing on the gender non-conforming/non-binary community, clothing swap, self-defense workshop, resource fair, dancing and a variety show. Join Red Circle Project of APLA Health for a full day of traditional Native American music, dance, crafts and food, along with HIV testing and prevention resources.